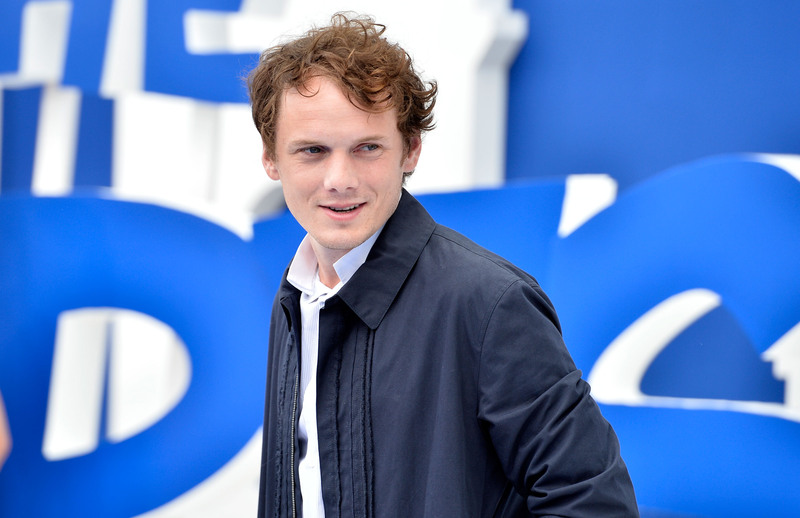 In heartbreaking news, 27-year old-actor Anton Yelchin died on Sunday morning. According to TMZ, Yelchin, best known for his role as Chekov in the Star Trek franchise, died from a car incident. The actor's rep confirmed to Bustle that Yelchin was "killed in a fatal traffic collision early this morning. His family requests you respect their privacy at this time. "The LAPD released a statement confirming the details of Yelchin's death, revealing that the actor's car rolled backwards down his driveway, "pinning him against a brick mailbox pillar and security fence." The details of the young star's death are absolutely heartbreaking, and photos of Yelchin during his too-short life and career show just how promising his future looked to be. Yelchin's Hollywood career began in 2000 when he landed a guest appearance on ER, and from there, Yelchin's promising career took off. The young actor took on roles in a number of indie films, including Alpha Dog, Charlie Bartlett, and Like Crazy before joining blockbuster productions Star Trek and The Smurfs franchises. It is only fitting to honor the life and career of Yelchin by taking a look back at photos from his defining roles and his young life. From his joyful smiles on the red carpet to candid photos with his four legged friends, these photos show Yelchin embracing his thriving career and life to the fullest. The shock of Yelchin's death will continue to linger for his family, friends, and fans, but right now, his memory should be honored. Hollywood lost an amazing talent on Sunday, and Yelchin will be missed by all. In 2000, Yelchin made his debut as a young boy who loses both of his parents in a car accident. While his role was small, he gave a memorable and moving performance. It was the film Alpha Dog starring Brice Willis that made Hollywood take note of Yelchin. As a kidnapped 15-year-old who makes friends with his captors, Yelchin gave an astonishing and honest performance that launched his career. This is one of the earliest photos of Yelchin walking a red carpet. Even as a young teen, he already had an easy grin on his face whenever a camera was pointed his way. Yelchin stole hearts as the precocious teen Charlie, a young man who acted as a therapist for his fellow high school students. Yelchin made the pilgrimage to Comic-Con to promote Fright Night alongside his co-stars in 2011. If you want to see Yelchin display his kindness, look no further than the time he helped a duck and her ducklings get to safety. The romantic film Like Crazy was a sleeper hit for Yelchin and his co-star Felicity Jones. Chekov is not the only iconic role Yelchin tackled in his career, as he also once played Kyle Reese of Terminator fame. As Chekov, Yelchin found a passionate fanbase of Star Trek devotees who fell in love with his work. Yelchin clearly loved animals. From ducks to dogs, he was often seen enjoying time spent with furry and feathered friends. Yelchin was not only an actor, but a gifted photographer who posted beautiful photos on his photography Instagram account. Children will forever know Yelchin as Clumsy Smurf, a role he played in both Smurf films and a Christmas special. Nova is one of many stars to post moving tributes to Yelchin. After three movies, the Star Trek crew were apparently like a family, and they are surely heartbroken over the sudden loss of Yelchin. This photo was taken at a recent press conference and marks one of Yelchin's final public appearances.